YOU CAN DO BETTER than a plastic replica! Stand out of the crowd with this Authentic Venetian paper mache mask handcrafted according to the original mask making traditions in Venice, Italy. This outstanding mask will be perfect as a part of Carnival, Halloween, Masquerade, or Mardi Gras costume, or could be an amazing addition to your collection. Mask has two ribbons for wearing. Bring a PIECE of VENETIAN SPIRIT Home! YOU CAN DO BETTER than a plastic replica! 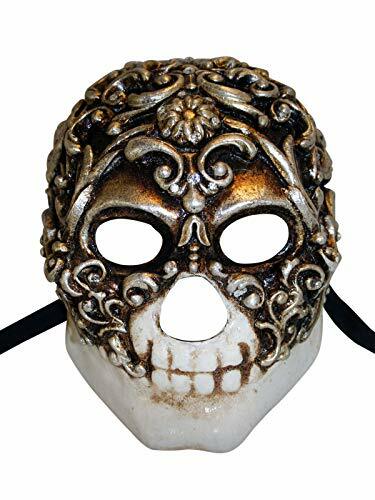 Stand out of the crowd with this Authentic Venetian paper mache mask handcrafted according to the original mask making traditions by Venetian artisans. This outstanding mask will be perfect as a part of Carnival, Halloween, Masquerade, or Mardi Gras costume, or could be an amazing addition to your collection. Mask has two ribbons for wearing. Bring a PIECE of VENETIAN SPIRIT Home! 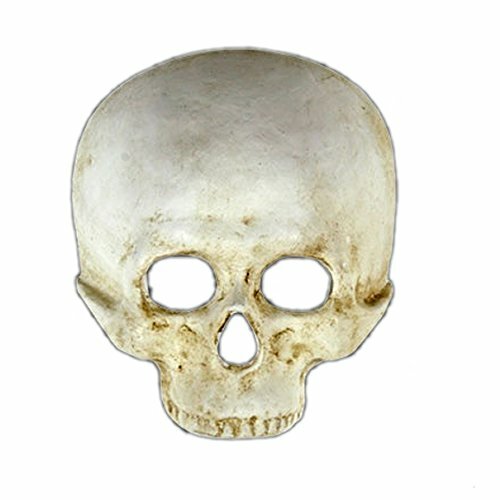 Beautiful, high quality, skull masquerade mask handmade by a real venetian artist in Italy. Authentic Masquerade Mask - Handmade in Italy. This is not your standard cheap imitation party mask. This mask was hand crafted by a real venetian artist. 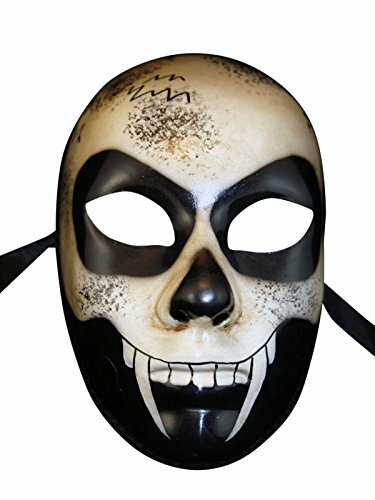 As soon as you get one, you'll immediately notice the quality in their design and decorative textures.Modern design & universal fitting Whether you're attending a formal masquerade ball or party, wedding, mardi gras, or festival/carnival, this mask is designed to fit snug against your face. Attached to every mask are lightweight ribbons that easily allow you to align the mask so it sits balanced between your nose and eyes.Superior comfort & qualityOur masks are made to last you through long events. a hard plaster mold, you won't sweat, and your makeup won't run - you might not even notice you're wearing your mask at all!